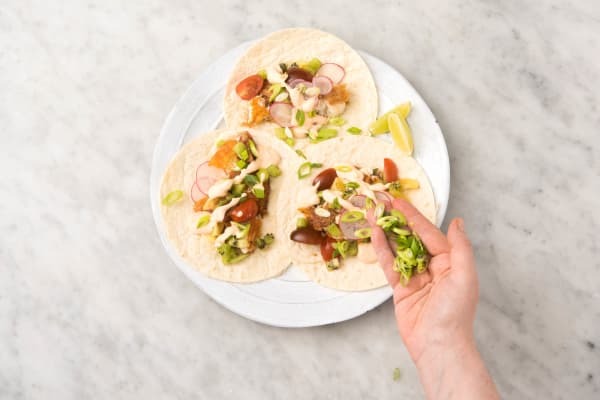 These are some feisty fish tacos because of the layer of chipotle spice that coats them. They’re snappy and crisp, too, thanks to a light dusting of cornstarch and a fry in the pan. But they also keep their cool with a kiwi tomato salsa and zesty sour cream. Which adds up to a recipe that’s amazing any night of the week. Sounds like a win-win! Wash and dry all produce. Quarter tomatoes. Trim and thinly slice scallions, separating whites from greens. Peel kiwi, then dice into ¼-inch cubes. Zest 1 tsp zest from lime, then cut into wedges. Thinly slice radishes. TIP: For a fancy presentation, stack the radish slices and slice again into matchsticks. 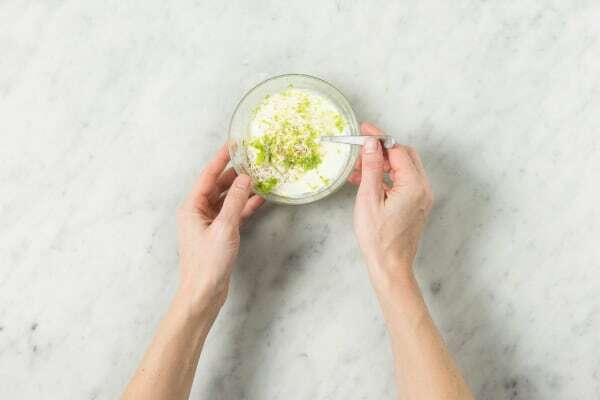 In a small bowl, mix together sour cream, half the lime zest, a squeeze of lime, and a pinch of chipotle powder (add more or less to taste). Stir in enough water to give mixture a drizzling consistency (start with 1 tsp). Season with salt and pepper. In another small bowl, combine cornstarch, remaining lime zest, and half the remaining chipotle powder (save rest for another use). Pat tilapia dry with paper towels, then season all over with salt and pepper. Sprinkle with cornstarch mixture, gently rubbing mixture into fillets to evenly coat. Heat a ¼-inch layer of oil in a large pan over medium-high heat (use a nonstick pan if you have one). 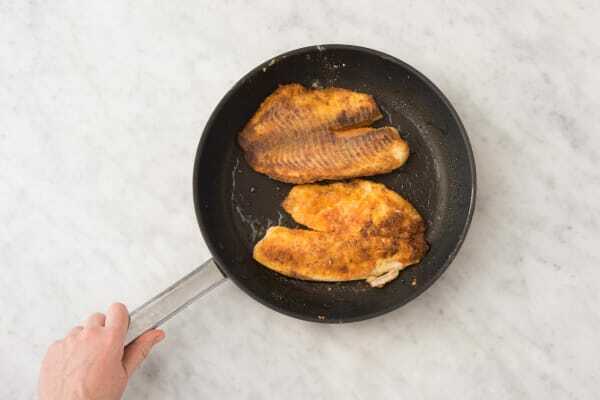 Once oil is hot enough that a pinch of cornstarch sizzles when added to the pan, add tilapia. Cook until browned and lightly crisped, 3-4 minutes per side. Set aside on a paper-towel-lined plate. While tilapia cooks, in a third small bowl, toss together kiwi, tomatoes, scallion whites, and a squeeze of lime. Season with salt and pepper. 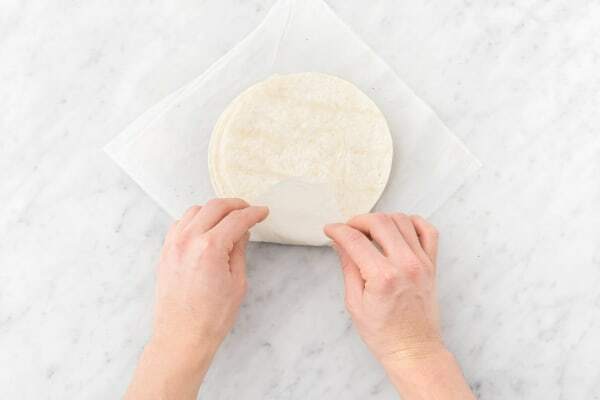 Wrap tortillas in lightly dampened paper towels and microwave on high until warm and soft, about 30 seconds. 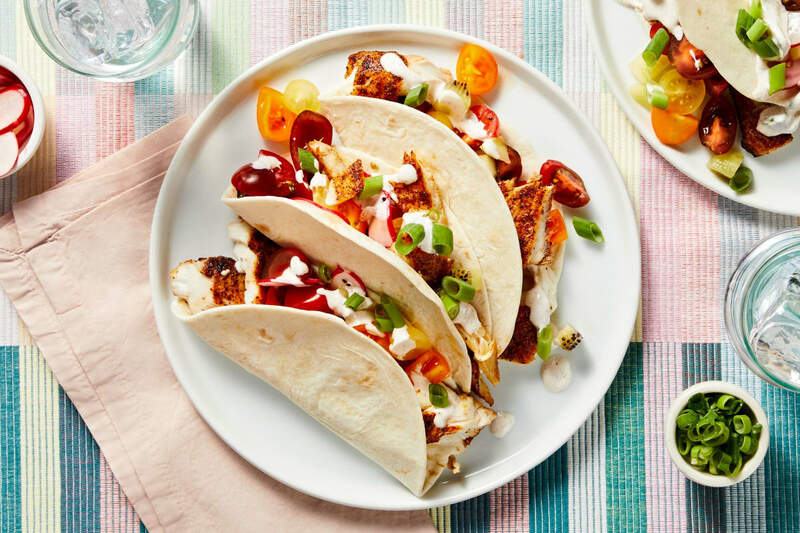 Break tilapia into smaller pieces and divide between tortillas. 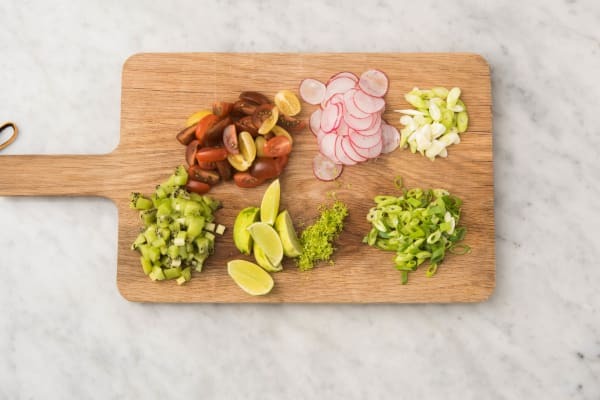 Top with as much of the pico de gallo, radishes, crema, and scallion greens as you like and serve.